The D-20 makes a great budget or alternative D-50. It's more closely related to the D-10 and D-110 synthesizers but adds an 8-voice sequencer with a rhythm track. The D-20 is a digital synth that employs linear arithmetic synthesis (LAS). It's a confusing synthesis / editing method composed of tones, partials and timbres. Basically it all boils down to tricky programming which, if you know what you are doing, can have interesting and unique results. 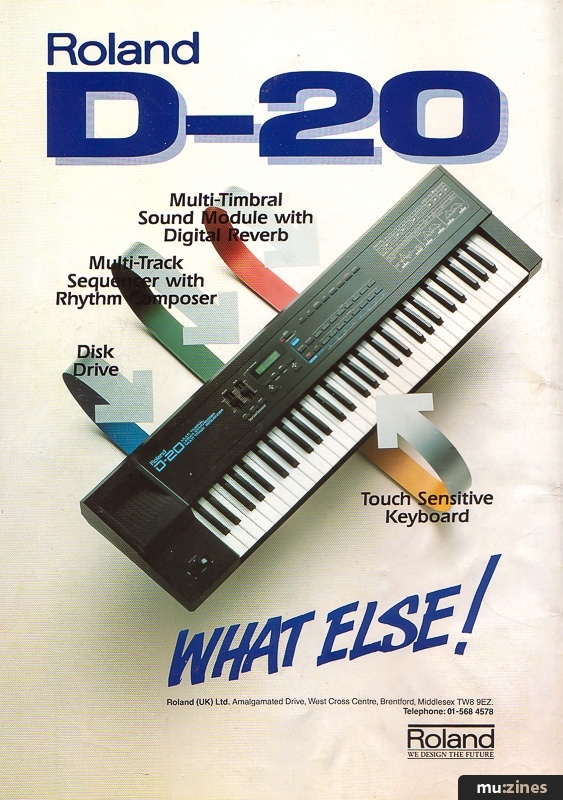 Reverb effects and internal / external memory storage are also available on the D-20. Definitely worth a listen.